Agendas are posted online in the links box to the right. *Denotes: 2nd meeting of the month. As the school year progresses, additional special meetings may be scheduled. 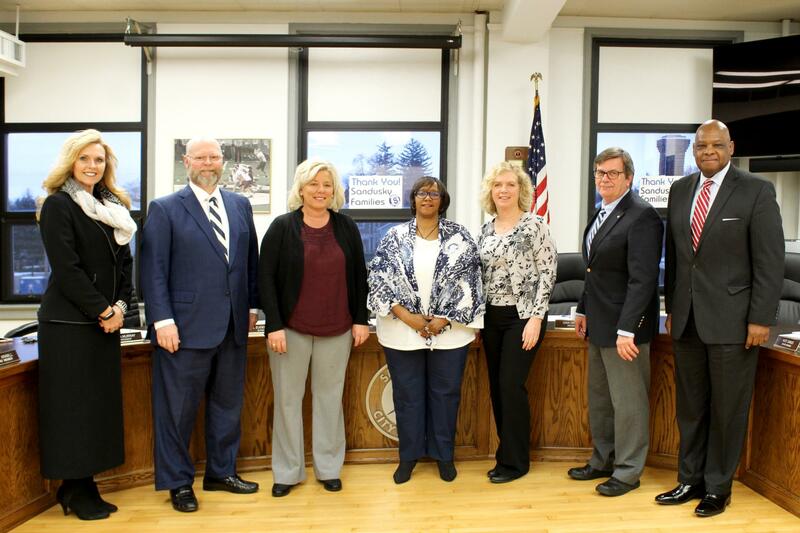 The Regular Meetings of the Sandusky Board of Education scheduled during the school year will usually be held in the 3rd floor Board room at the Administration Building. The Regular Meetings of the Sandusky Board of Education scheduled during the summer months will usually be held in the 3rd floor Board room at the Administration Building beginning at 8:00 AM unless otherwise noted. We will achieve and maintain the highest standards of academic excellence while providing an environment in which students are encouraged to reach their maximum potential. We will maintain and enhance the financial condition of the district so as to provide sufficient resources for our programs and facilities. We will strive to provide an optimal learning, safe and healthy environment for our students, staff and community so that there will be no physical barriers to learning. We will continue to improve communications with our students, families and community members, as well as our staff. We will encourage collaboration with these stakeholders on all fronts, including the recruitment and retention of students. The entire staff of SCS will be held accountable for the success of our students. We will provide and facilitate professional development for our staff so that they will have the ability to challenge every student. We will recruit and retain highly qualified staff members who will be strongly encouraged to participate in all aspects of the SCS community.